This Printed Baby Washable Baby Nikar comes with intricate prints and is made of skin-friendly material. Reusable Baby Cloth Diapers with 3 layer Microfiber insert. Washable. 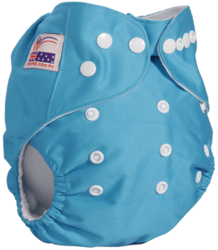 One size which can be used from baby's 3 months to 3 years. Baby will feel dryness and soft to baby's sensitive skin.